Ekal Professional is a manufacturer and exporters of quality professional thinning scissors, thinning shears, texturizing shears, texturizing blenders. We use Japanese stainless steel 420 J2. 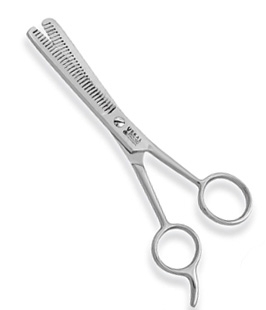 All scissors are convex edge, hollow ground. Whether you cut hair that is wet or dry, fine or coarse, straight or curly, our thinning shears are designed for you. 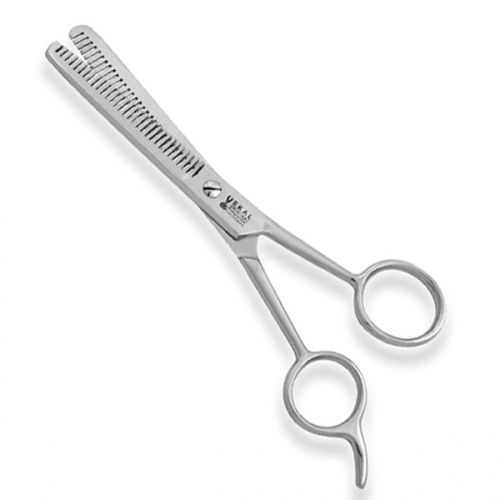 Made from Selected steel and machined to perfection for smooth thinning operation with 34 teeth double blade thinning Scissors with finger rest. Sizes: Select Sizes 6.5" 7.5"